How&apos;s everyone&apos;s Gulf Port shrimp tasting these days? A little too oily? No problem...just dip &apos;em in some butter because that&apos;s exactly what BP is now doing: trying to butter over their recent debacle in the Gulf of Mexico. Six months after the oil first began to spill into the Gulf, BP has not only been doing damage/PR control, but they&apos;ve begun to develop and invest in EV charging technology. That&apos;s right. 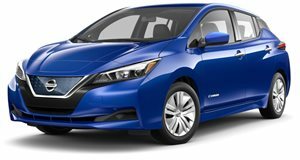 BP has announced it will begin to install charging ports at 45 gas stations (out of 11,000 in total) in markets where the Nissan Leaf is sold by March 2011. Leaf and Mitsubishi i-MEiV owners will be able to charge their cars to 80% capacity in under 30 minutes. According to BP, the charging stations will use 480 volts instead of the 220 volts used in home charging units, cutting the charging time by a significant amount. BP will gauge consumer reaction before a decision is made whether or not to seriously invest in further development.